UPDATE 10-21-2014 : The mural of Taras is progressing nicely! A few days ago citizens of Kharkiv, Ukraine made the news by tearing down their famous Vladimir Lenin statue in the city's Freedom Square. The statue was located two blocks from where we lived in Kharkiv and I wrote about the statue a couple times, here and here. It was one of Kharkiv's main tourist attractions and served as an historical oddity that reminded you Russia was about 50 kilometers away and that the Soviet past wasn't that long ago. But with one icon gone, Kharkiv may have a new and better one to replace it. 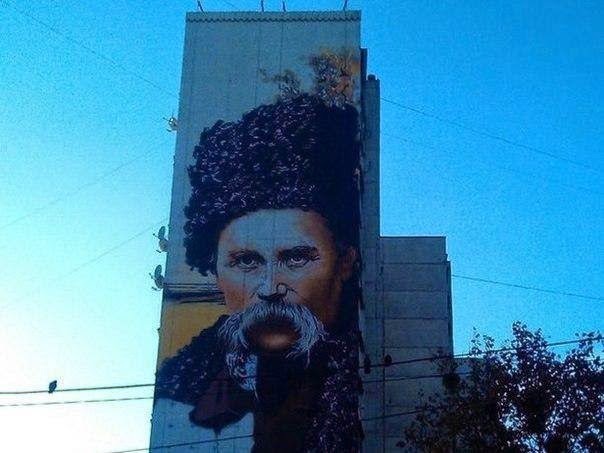 It turns out that on the side of one of the high rises a portrait of poet Taras Shevchenko. I've written about Shevchenko many, many times..;too many to highlight individually. 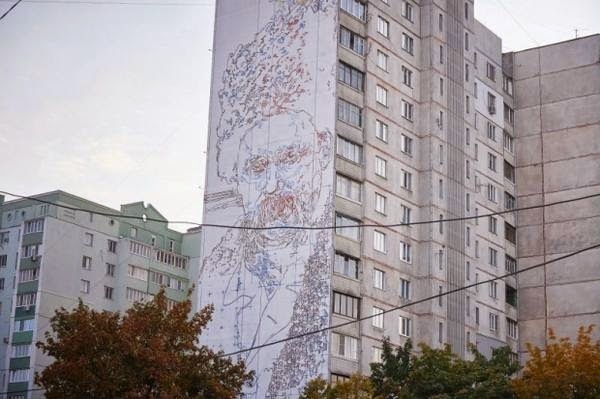 The building's portrait would be undoubtedly the largest Shevchenko painting and I can't wait to see what it looks like completed.